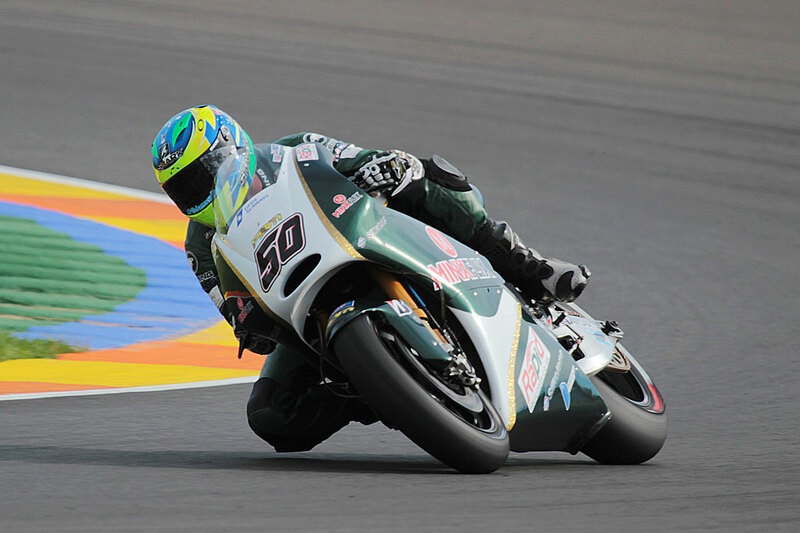 Damian Cudlin’s stint as a MotoGP replacement rider will come to an end after today’s Valencia Grand Prix and while results have been difficult the Australian is glad that he had the opportunity to race for PBM in the premier class. “It’s hard to keep putting a positive spin on it when you’re struggling like this but there are some positives,” said Cudlin. “The changes we made for the qualifying session did help. We went down a path today that was the wrong way and for qualifying I gave up on that and went back to yesterday’s setting in qualifying. It was better and I got confidence back in the bike straight away and found some time. This entry was posted in MotoGP, News and tagged Australia, Cudlin, Damian Cudlin, Friday, Grand Prix motorcycle racing, Jorge Lorenzo, Marc Marquez, Valentino Rossi. Bookmark the permalink.